Attending Court can be stressful and intimidating, even for those who do so regularly. It can be even more so for those attending for the first time with very little idea of what to expect. Not knowing where to go, or how to act can only add to the stress of having to present yourself before a Judge. It can be difficult to know how to behave and act to reduce the stress of attending court and present yourself in the best possible light to the Judge. This article will discuss some of the most practical advice to present yourself well at Court. Firstly, attend Court before your Hearing date. The Court is a public building, and there is no reason for you not to visit it before your Hearing so that you can learn the layout and how the building operates. You may also be able to sit in on another Hearing if an appropriate one is available. Speak to the Court Ushers (Court Staff) and ask them about sitting in on a Hearing. If you explain to them why you want to do so, then they may be able to advise you what is available. This will give you the opportunity to familiarise yourself with what a Hearing is actually like. Secondly, arrive early on the day of your Hearing. Do not aim to be on time for your Hearing aim to be early. This will allow for time to find the room your Hearing is being held in. You should also give yourself plenty of time as the Defendant may wish to speak to you regarding settlement before going in. It is not uncommon for cases to settle before going into a hearing. 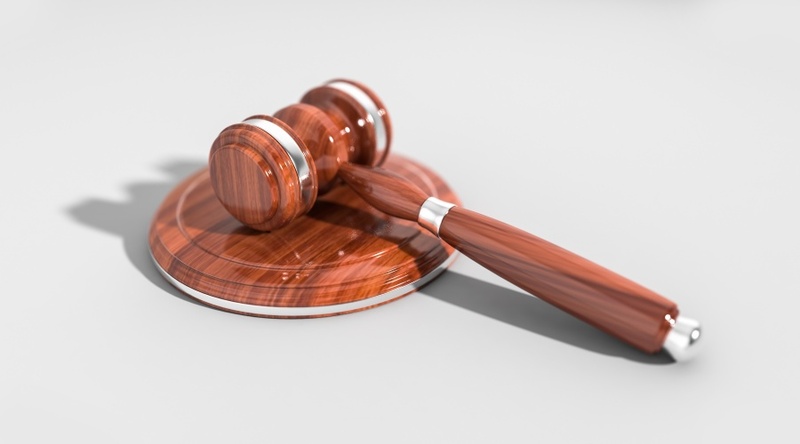 However, if the Defendant tries to settle your claim, you should keep in mind that they will be expecting you to be feeling stressed and nervous and some may try to use that to strong-arm you into accepting a lower offer. Keep your cool and don't settle for less than your claim is worth just because you're nervous about the Hearing. Thirdly, dress appropriately. You should always dress smartly, as you would for a job interview. Remember appearances count for a lot, and while in a perfect world you would be judged on your case alone, in reality how you present yourself and your attitude in Court will have an impact on your case. Dressing smartly shows respect to the Court and the process you are engaged in. It demonstrates to the Judge that you are taking this matter seriously and that you deserve their time and attention. Dressing smartly can mean different things to different people so for the avoidance of doubt do not go to Court in your jeans, leggings, t-shirts or crop tops. Wear a suit if you can, or if you do not have one and have no way of getting/borrowing one you should at wear a suit jacket at a minimum. Fourthly, address the judge accordingly. If you are before a District Judge, they should be addressed as "Sir" or "Madam" as the case may be. If you are before a Recorder or a Circuit Judge you should address them as "Your Honour." In the unlikely event that you find yourself before a High Court Judge, they should be addressed as "My Lord" or "My Lady" as the case may be. However, that being said do not panic if you forget the correct way to address a Judge, provided that you are polite and respectful, the Judge will not take offense. Fifthly, speak appropriately. As above it is important to be polite during the process of speaking to the Judge and your opponent. This will be a highly emotional experience, but you must try to keep your cool. Try not to lose your temper or become overly emotional, take a moment to breathe if you need to the Judge will be understanding that this is not an easy ordeal. Water will be available, if you need to take a moment have a drink and try to relax as much as possible. During the Hearing, only one person should speak at any one time if you interrupt the Defendant or the Defendant interrupts you the Judge will act to keep order. You should not interrupt the Judge if you need to bring something to the Judge's attention while they are speaking then wait for them to finish before speaking. Lastly, be honest, if you cannot answer any question from the Judge or Defendant, then you should say so. If possible make an effort to find out the answer during a break in the Hearing. However, not knowing the answer to a question is unlikely, this is your claim, and no one should know it better than you. The questions asked will be important and effect the Judge's decision so answer them with as much information as you can. In conclusion, you should now have an understanding of some of the steps you can take to best present yourself at Court and reduce the stress you may be under by attending Court. Bringing a claim yourself? Check out the below link and get your own toolkit!